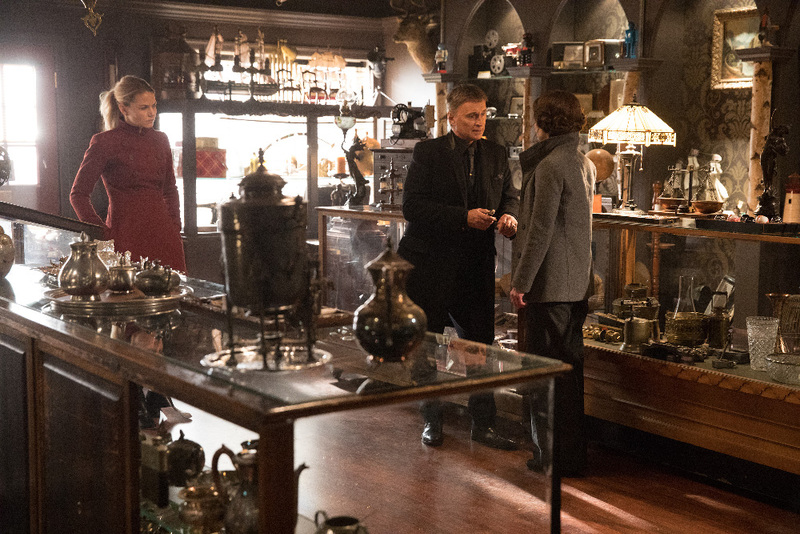 Preview images and spoiler description for the Once Upon a Time episode "The Black Fairy"
In flashback, after Rumple’s mother, Fiona, learns from his fairy godmother that his destiny is prophesized, she does everything in her power to keep it from happening. Ultimately, Fiona will have to make a decision that will change the course of both their lives forever. Meanwhile in Storybrooke, Rumple faces a similar delimna, on “Once Upon a Time,” SUNDAY, APRIL 30 (8:00–9:00 p.m. EDT), on The ABC Television Network. Guest starring are Keegan Connor Tracy as Mother Superior Blue Fairy, Beverly Elliott as Granny, Giles Matthey as Gideon, Stephen Lord as Malcolm, Jaime Murray as Black Fairy, Sara Tomko as Tiger Lily, Yasmin Abidi as Midwife and Kristina Lao as Peasant Mother. “The Black Fairy” was written by Jerome Schwartz and Dana Horgan and directed by Alrick Riley.